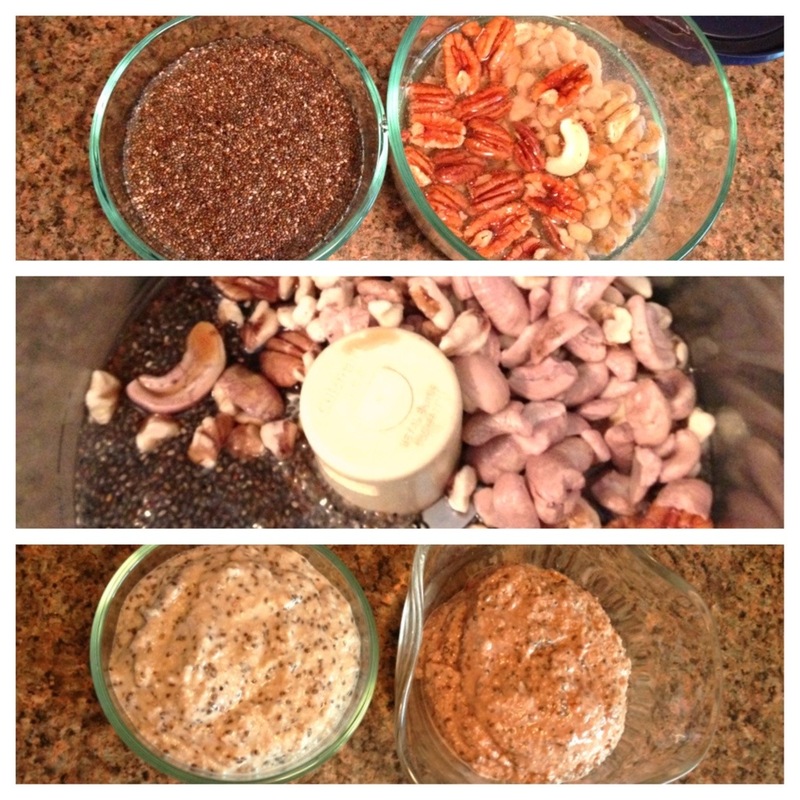 I had made a chia seed pudding years ago from my friend Marisa’s recipe which calls for chia seeds, dates, cashews, and whatever flavorings you want. Super delicious! 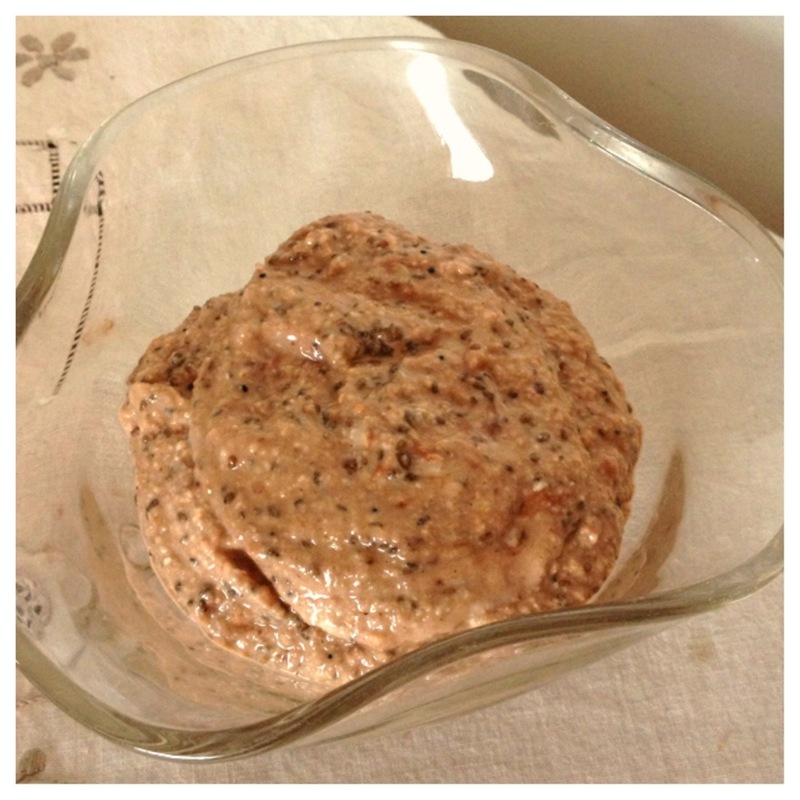 – Blend the chia gel and nuts together with maple syrup and any other flavorings: The recipe called for cocoa and sea salt. I tried this with half of the batch and it was pretty good. It’s also good plain. Or you can add vanilla and cinnamon or really whatever else – you’ll see. 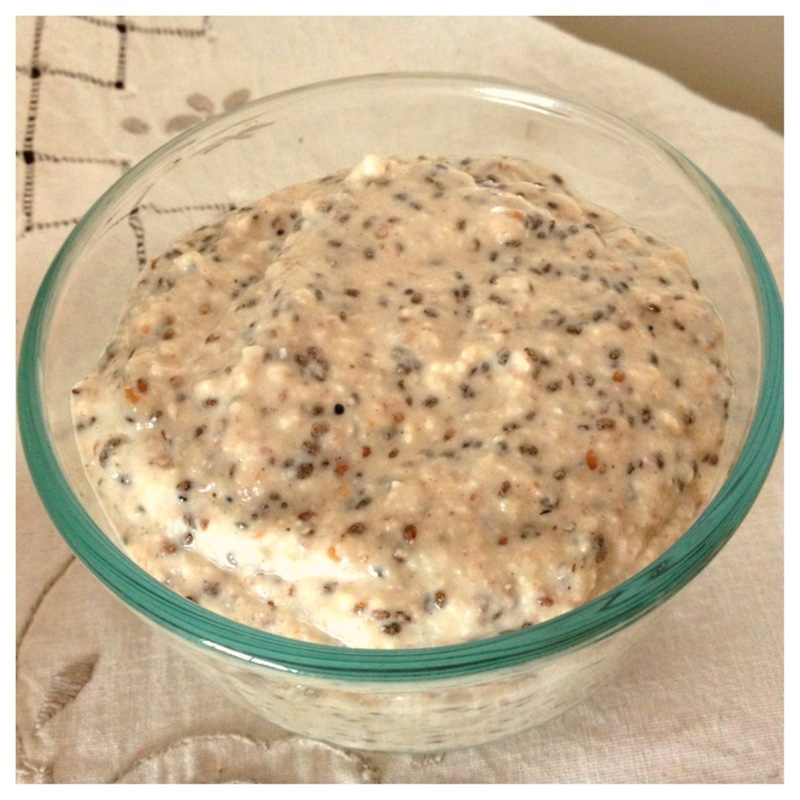 I ❤ Chia seed puddings. Easy to make. And so expensive in the stores!